Ginger Gold was discovered as a chance seedling in the foothills of the Blue Ridge in 1969, after a hurricane destroyed an orchard. 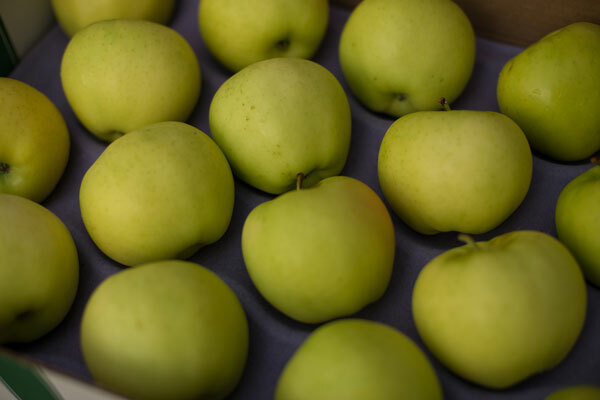 It is thought to be descended from the Albemarle Pippin and Golden Delicious and was first introduced commercially in 1982. 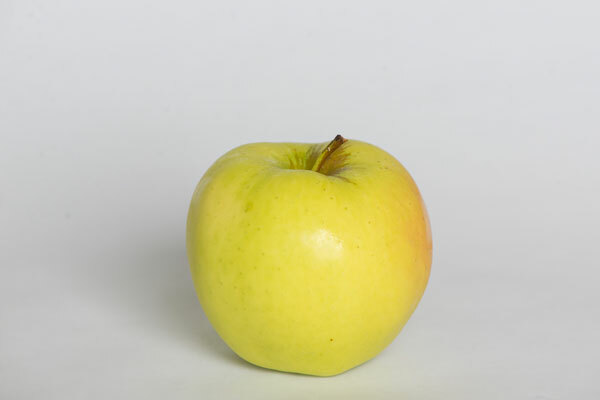 Ginger Gold is a very large, yellow-green apple with a slight blush. It's an early apple, ripening in early August. Like a summer fruit, it is delicate and refreshing. The sweet, tart, cream-colored flesh does not turn brown after cutting. 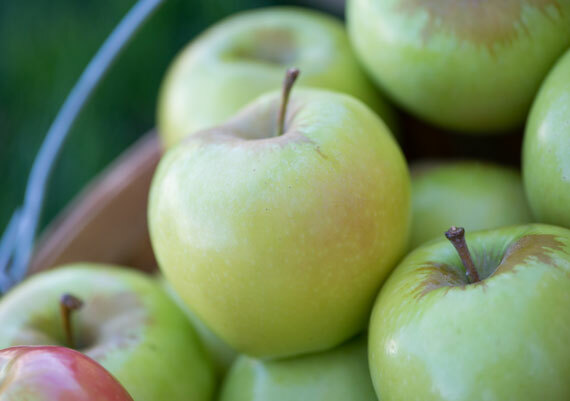 Ginger Gold is an excellent eating apple and perfect for fall picnics, salads and fresh fruit trays. Ginger Gold needs to be kept refrigerated.